In an age where technology has taken over the way we live, work, and even experience, lifestyles have become more accustomed to the conveniences that these innovations have to offer. From smartphones to Internet of Things-enabled services, lives have been transformed so that we can do twice as much in half the time. As such, mobile applications have been introduced and designed to make the world closer to our fingertips. We have apps that make communication with someone from across the globe and in a different timezone easier. We also have apps that help us organize schedules, keep track of our fitness goals, and send us the latest updates may it in news or promotions. But most importantly, we now have apps that bring us one of our basic needs as human beings — food! At a Piip of a button, we get access to a long list of menu from almost all of the restaurants in the metro. Make reservations in no time, and even have take-outs or the groceries delivered right in front of our doorstep. But what if there was a way to take it a step further and making things easier and simpler? With the Piip Mobile app, all these innovations come together in creating a whole new level of digital customer experience. 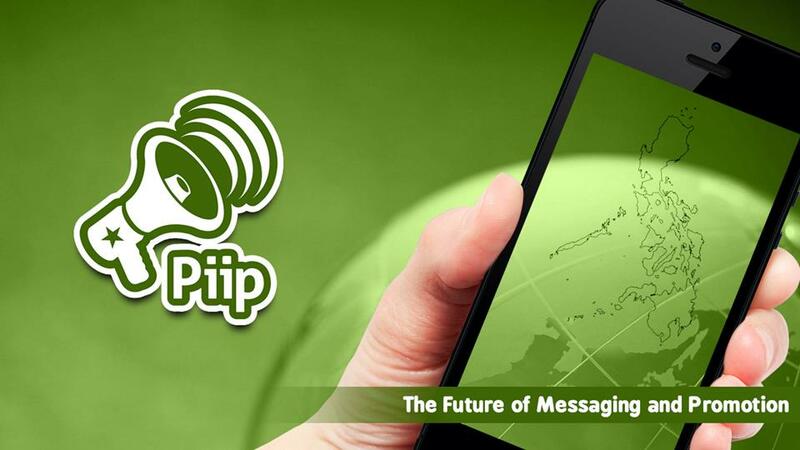 Piip exposes consumers to the latest and nearest promos and discounts in real-time with its location-based feature. It is designed to be a platform for Piipsters to directly communicate with merchants for orders, reservations and product inquiry through its instant messaging (IM). Deals can also be shared in-app with other Piipsters and notifications are customizable based on the merchants they like and follow, making it an all-around partner for shopping convenience. “We at Piip have been constantly looking at the available services in the market and compare them to the performance of our own app. Piip goes beyond shopping for great deals because we have opened a direct line between consumers and our merchants via instant messaging. From food and beverage, we ventured into entertainment through a special promotion for the first screening of Ant-Man and the Wasp last July 4, 2018 at the Gateway Cineplex, Araneta Center, Cubao. Seeing how well-received this recent promo was, we strongly believe that Piipsters can get everything at a Piip of a button,” said Piip Mobile AG Founder and CEO Alexander Spörri.